The Representatives on behalf of StudyMedicineInChina.co.za at the web address "www.studymedicineinchina.co.za", located in Durban, Kwazulu Natal (South Africa), operate independently for the sole purpose of aiding students with university applications, within the parameters outlined below. By using the "www.studymedicineinchina.co.za" website and/or transacting with the Representatives on behalf of StudyMedicineInChina.co.za, you, the Client, are deemed to have read and understood that which follows. The terms of service contained herein are the latest official StudyMedicineInChina.co.za terms of service and should be deemed as such. This version supersedes the terms of service in any other verbal agreement. StudyMedicineInChina.co.za retains the right, in its sole discretion, to change the terms of service or any part thereof at any time without prior written notice. "StudyMedicineInChina.co.za" means the independent student recruitment business that is operated from the website medium "www.studymedicineinchina.co.za" and/or any other websites or advertising mediums. "Representatives" means the individual and/or individuals that conduct operations on behalf of StudyMedicineInChina.co.za. "Client" means the legally authorized parent, guardian or witness of the Applicant or the Applicant itself if a legally authorized parent, guardian or witness is not present. "Applicant" means the individual person for which the university application is to be made, to the specified university in this agreement. The Client hereby authorizes the Representatives on behalf of StudyMedicineInChina.co.za to act on their behalf and access any accounts, documents and information deemed necessary to fulfil the services requested by the Client. The Client also authorizes the Representatives to use some of the Applicant’s details as well as testimonies for promotional purposes to be published on advertising mediums including, but not limited to, Internet, radio, television, newspapers and/or magazines in South Africa and/or globally. The Client certifies that both the Client and the Applicant are at least 18 years of age, are competent (of sound mind and body) and legally capable of entering into a legal contract. 3) Details of the Service Package. It remains the Client's responsibility to research and understand the scope of services and/or products, offered by StudyMedicineInChina.co.za and its Representatives, before contractual obligations are made. The packages, offered by StudyMedicineInChina.co.za and its Representatives, are deemed to only include 1 application, in total, to 1 specified university. All required documents and information necessary for the Applicant’s university application, must be supplied by the Client in either Microsoft Word (.doc), Portable Document Format ( PDF) and/or image formats which are to be sent in to the Representatives via email (each document submitted should not exceed 5 megabytes in size). Documents are also required to be labelled accordingly. The Applicant is required to fly in to Beijing Capital International Airport on the specified date and times set by StudyMedicineInChina.co.za and its Representatives otherwise the below courtesy services may be deemed as forfeited by the Applicant, at the sole discretion of the Representatives. In the event that an Applicant anticipates minor delays in arrival, the Applicant must inform the Representatives 7 days in advance, prior to the specified date and times already set by StudyMedicineInChina.co.za and its Representatives, to make alternative arrangements if possible. The Representatives on behalf of StudyMedicineInChina.co.za may be in China for approximately 4 to 7 days to provide assistance with the various tasks and/or procedures listed in an agreement. Communication between the Representatives and the Client or Applicant will primarily happen via email. StudyMedicineInChina.co.za and its Representatives shall initially assist in arranging either university or private accommodation in the Chinese province of Jinan, with possible assistance from a third party independent estate agent or another professional in the case of private accommodation, for the Client if requested and specified by the Client in the allocated fields at the bottom of this legal agreement. StudyMedicineInChina.co.za and its Representatives make no guarantee and/or warranty, implied or otherwise, of availability or pricing. StudyMedicineInChina.co.za and its Representatives shall initially arrange temporary accommodation for Applicants in Jinan – for up to 2 days only once Representatives, on behalf of StudyMedicineInChina.co.za, reach the province of Jinan in China. Temporary accommodation will be arranged and paid for by the Representatives, either in advance or while in China at the sole discretion of the Representatives. 3.3) Transportation Arrangements to Jinan, From Beijing Capital International Airport. StudyMedicineInChina.co.za and its Representatives shall pay for the Applicant's transport via train or bus from Beijing Capital International Airport to the Jinan province. An Applicant that departs from King Shaka International Airport (Durban's International Airport in South Africa) along with the Representatives, shall be accompanied by the Representatives from Beijing to Jinan via train. If an Applicant isn't able to depart with the Representatives from South Africa or isn't able to join the Representatives in Beijing, then the Applicant needs to contact the Representatives in advance to discuss an alternative arrangement if possible or they may make their own way to Jinan. 3.4) Transportation & Tour Arrangements within Jinan. StudyMedicineInChina.co.za and its Representatives shall initially pay for the Applicant's transport via bus or taxi to the university. This will allow the Applicant to register at the university before being taken on a guided tour of the university and other common places if requested. StudyMedicineInChina.co.za and its Representatives shall pay for the Applicant's food for a period of up to 2 days from the date of arrival in Beijing – consisting of 3 meals during the course of a day, from establishments deemed adequate by the Representatives. Food is catered for, provided the applicant is in the company of the Representatives when in Jinan. StudyMedicineInChina.co.za and its Representatives shall pay for a Chinese sim card for the Applicant and assist in activating the Applicant's new Chinese phone number so that international calls may be made. Further assistance and/or guidance will be provided if requested, with or without university guidance, with respect to obtaining the relevant Chinese visa for the Applicant when in China, obtaining a residence permit, obtaining the required university insurance, getting a physical medical examination done in China and registering at the university. StudyMedicineInChina.co.za and its Representatives shall endeavour to submit the Applicant's application, to the university directly and/or third parties deemed relevant by the Representatives, within 7 working days after the receipt of a signed legal agreement, receipt of all the required application materials and receipt of a 50% deposit for the total service fee amount. The Client is to provide StudyMedicineInChina.co.za and its Representatives with all the required documents within a reasonable time period from signing an agreement. Failure to provide all the necessary documents, on the part of the Client, within a reasonable time period from signing this legal agreement, unless agreed otherwise in writing by the parties, may result in missed application deadlines in which case an amount of $200 will be forfeited from the Client's deposit. Any delay caused by the Client and/or Applicant, may result in the delay of the Applicant's application being submitted and StudyMedicineInChina.co.za and its Representatives will not be held responsible and/or liable for missed application deadlines. Upon the university's decision being made available to StudyMedicineInChina.co.za and its Representatives, the Client and/or Applicant will be sent a notification either via email, SMS, video chat/call or telephone/mobile call. In the event that the Applicant is rejected, an email will be sent requesting the Client's and/or Applicant's bank details so that a partial refund of the deposit can be made, of which approximately +-$200 is kept from the deposit. In the event that the Applicant is accepted, an electronic scanned copy of their acceptance letter will be sent via email and the balance of the package fee will fall due – outstanding balances must be settled within 7 days of being sent an electronic copy of the acceptance letter. After the package fee has been paid in full, the original acceptance letter, visa forms and other admission documents shall be mailed to the mail address provided by the Client and/or Applicant. All products and/or services offered, by StudyMedicineInChina.co.za and its Representatives, are once-off. Work and/or services are deemed to be completed and approved by the Client with the final payment of any outstanding balances. Further guidance and instructions concerning the Representatives’ specification of mandatory arrival dates and times shall be made no less than 14 days before the official university registration date set in the original acceptance notices which are to be mailed to the Applicant by the university directly and/or a third party. Also, guidance and instructions, by the Representatives, concerning obtaining a student visa from the Applicant's local Chinese Embassy in their home country, shall be provided no less than 21 days before the official university registration date set in the original acceptance notices which are to be mailed to the Applicant by the university directly and/or a third party. The service fee is for a total amount of $1,500.00 (USD), unless agreed otherwise in a writing signed by the parties. A deposit of fifty percent (50%), of the total amount, is required before submitting the Applicant’s university application. 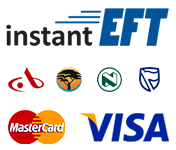 Payments are to be made via PayFast, a South African payments processor. If Payment cannot be made via PayFast, please contact StudyMedicineInChina.co.za and its Representatives to see if an alternative payment arrangement is possible. 5.1) 50% of the total amount upon signing this legal agreement. 5.2) 50% of the total amount within 7 days of the Client and/or Applicant being sent an electronic scanned copy of the acceptance notice, prior to the mailing of the original acceptance notice, documents, and/or forms, by the university directly and/or a third party. All payments must be made in South African Rands (ZAR), unless agreed otherwise in writing, and proof of payment must be kept. Depending on the Client's and/or Applicant's method of payment, additional time may be required for verification of funds. If a payment delay is anticipated, please contact StudyMedicineInChina.co.za and its Representatives immediately for an alternative arrangement. This agreement becomes effective only when signed by the Representatives on behalf of StudyMedicineInChina.co.za. StudyMedicineinChina.co.za and its Representatives reserve the right to cancel the Applicant's application and/or reject the acceptance notice by the university if balances owing have not been paid in full within 7 days of the Client and/or Applicant being sent an electronic scanned copy of the acceptance notice. In case collection of outstanding payment is deemed necessary, at the sole discretion of StudyMedicineinChina.co.za and its Representatives, the Client agrees to pay all fees incurred by that process including, but not limited to, lawyers, attorneys and/or debt collection agency fees. No refunds will be entertained unless the Applicant is rejected by the university, in which case a partial refund of the deposit will be provided, less $200 or less another amount determined at the sole discretion of StudyMedicineinChina.co.za and its Representatives. StudyMedicineinChina.co.za and its Representatives reserve the right to assign certain subcontractors, agents, Clients, servants, officers, employees, partners, associates, employers and/or assigns to this project to insure the right fit for the job as well as timely completion. The Client guarantees that any and all materials submitted, to StudyMedicineInChina.co.za and its Representatives, are truthful and correct, and that the materials are owned by the Client or the Client has permission from the rightful owner to use the submitted materials. The Client hereby agrees to protect, defend, indemnify and hold StudyMedicineInChina.co.za and its Representatives harmless from any claim and/or lawsuit arising from the use of materials submitted to StudyMedicineInChina.co.za and its Representatives, by the Client. All the information, on all websites and/or advertising mediums operated by StudyMedicineInChina.co.za and its Representatives, is subjective, sourced directly from educational institutions and/or third parties. Thus, StudyMedicineInChina.co.za and its Representatives will not be held liable for any damages, loss or injury resulting from errors, misinformation and/or omissions in the information provided. StudyMedicineInChina.co.za and its Representatives also reserve the right to determine, at their sole discretion, the Clients for which services will or won't be performed. The Client agrees to defend, indemnify, save and hold StudyMedicineInChina.co.za and its Representatives harmless from any and all demands, liabilities, losses, costs and claims, including reasonable attorney's fees associated with services rendered on behalf of and/or to the Client. This includes, but is not limited to, liabilities asserted against StudyMedicineInChina.co.za, it's Representatives, subcontractors, agents, Clients, servants, officers, employees, partners, associates, assigns, employers, that may arise or result from any service provided or performed or agreed to be performed or any product sold by StudyMedicineInChina.co.za and its Representatives, agents, partners, associates, servants, officers, subcontractors, employers, employees and/or assigns. The Client also agrees to defend, indemnify and hold StudyMedicineInChina.co.za and its Representatives harmless against liabilities arising out of any damages, injury and/or loss to person or property caused by any services provided or performed or agreed to be performed or any product sold by StudyMedicineInChina.co.za and its Representatives, subcontractors, agents, Clients, servants, officers, employees, partners, associates, employers and/or assigns. StudyMedicineInChina.co.za and its Representatives make no representations or warranties, implied or otherwise, that the content, technology and/or delivery, amongst others, available from products supplied and/or services performed or agreed to be performed, are free from error and/or omissions or that the services will be 100% uninterrupted and/or error free. 9) Rights upon Termination of Agreement. All agreements remain valid until such time that the Client, with a minimum of a 14 day notice-period before a university application is submitted, terminates the respective agreements in writing. Upon Client termination, deposit fees paid shall be forfeited. In the case that a university application has already been submitted on behalf of the Applicant, this legal agreement remains valid and shall be enforced accordingly. If StudyMedicineinChina.co.za and its Representatives terminate any agreements, notification shall be sent via email along with a refund of the initial deposit paid, less any unrecoverable third party fees and/or an amount of R1900 if the Applicant’s university application has already been submitted. StudyMedicineinChina.co.za and its Representatives retain the right to terminate agreements, at their sole discretion, on grounds that include, but are not limited to, work falling outside the scope of the initial agreement, lack of time or resources or abilities, issues affecting the operations of StudyMedicineinChina.co.za and its Representatives such as environmental disasters or civil unrest or political unrest that are not within the Representatives' control. StudyMedicineinChina.co.za and its Representatives shall transfer, assign and make available to the Client all property and materials in the Representatives' possession or subject to the Representatives' control that are the property of the Client, subject to payment in full of amounts due pursuant to this Agreement. 10) Laws Affecting Electronic Commerce. From time to time governments enact laws and levy taxes and tariffs affecting Internet electronic commerce. The Client agrees that the Client is solely responsible for complying with such laws, taxes, and tariffs, and will hold harmless, protect, and defend StudyMedicineinChina.co.za and its Representatives, its subcontractors, agents, Clients, servants, officers, employees, partners, associates, employers and/or assigns from any claim, suit, penalty, tax, or tariff arising from the Client’s exercise of Internet electronic commerce. Regardless of the place of signing this agreement, the Client agrees that for purposes of venue, this contract was entered into in Durban, KwaZulu Natal, South Africa and any dispute will be litigated or arbitrated in Durban, KwaZulu Natal, South Africa. This agreement shall be governed and construed in accordance with the laws of Kwa-Zulu Natal, South Africa. The agreement contained in this contract constitutes the sole agreement between the Representatives on behalf of StudyMedicineinChina.co.za and the Client regarding the aforementioned services to be performed. Any additional work and/or services not specified in this contract must be authorized by a written change order. All prices specified will be honoured for 30 days after both parties sign this contract, beginning from the date the first party signs. This agreement constitutes the entire understanding of the Representatives and the Client. This agreement terminates and supersedes all prior understanding or agreements on the subject matter hereof. Any changes or modification thereto must be in writing and signed by both parties. The action of the sending and receipt of this agreement via electronic methods will hold both parties in acceptance of these terms once both parties have signed this agreement. Electronic signatures shall be considered legal and binding. If any provision of this agreement is deemed unlawful, void or for any reason unenforceable then that provision shall be deemed severable from this agreement and shall not affect the validity and enforceability of any remaining provisions. Note: We are not involved with scholarships or student funding. Also, please use an active email address - our primary medium for communication is via email. We'll get in touch as soon as we're able to. Monday - 9am to 5pm. Tuesday - 9am to 5pm. Wednesday - 9am to 5pm. Thursday - 9am to 5pm. Friday - 9am to 5pm. If you're unable to get through then leave your name and number (or email us instead) and we'll get back to you. Students or parents that are not from South Africa are encouraged to email. Copyright © 2013-Present StudyMedicineinChina.co.za. All Rights Reserved.